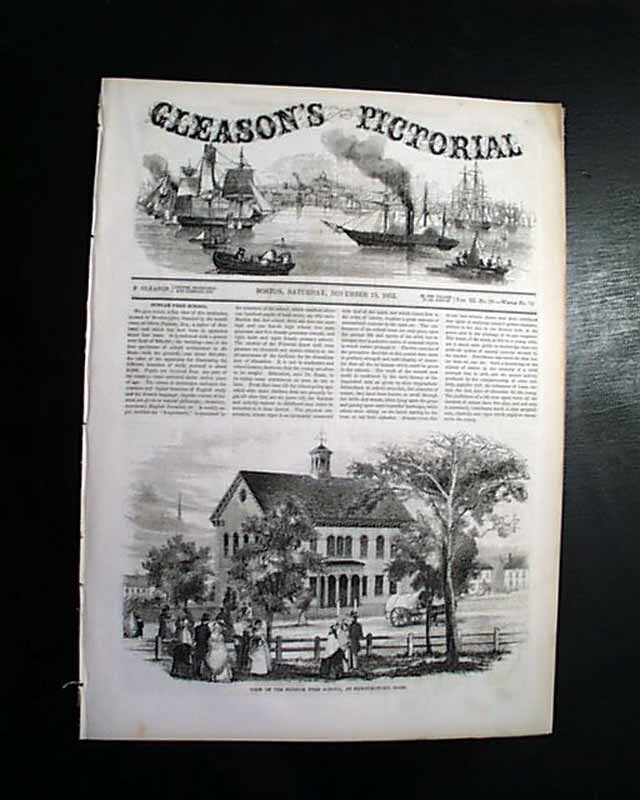 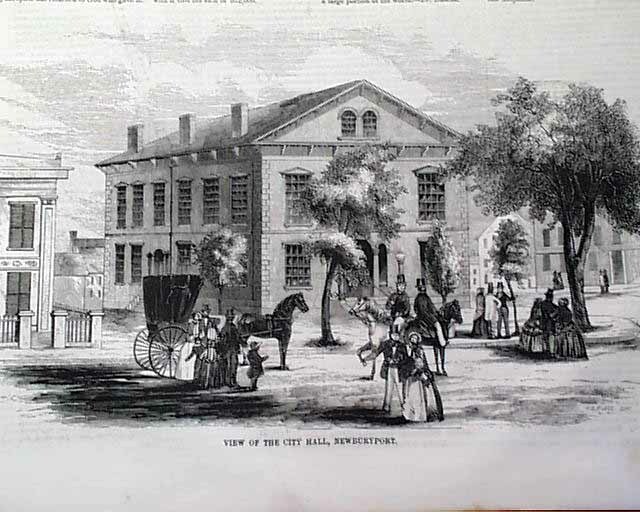 GLEASON'S PICTORIAL, Boston, Nov. 13, 1852 The front page shows a: "View of the Putnam Free School, At Newburyport, Mass." 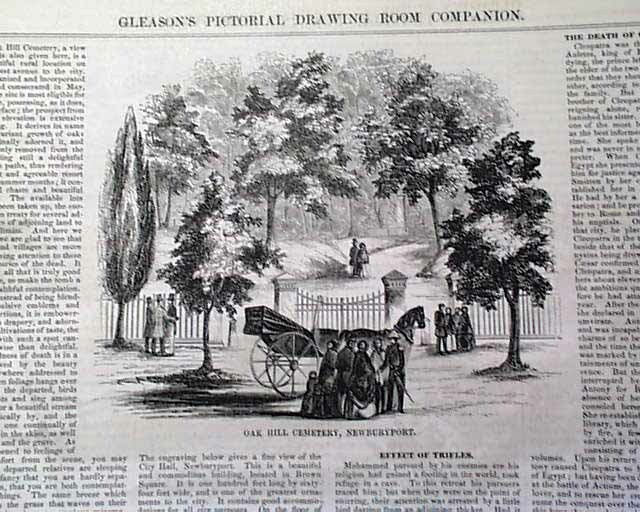 with a related article. 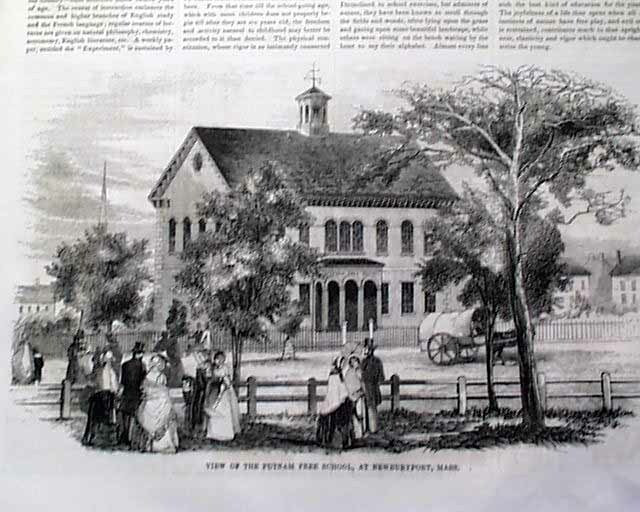 Other prints inside include:"Portrait of Hon. 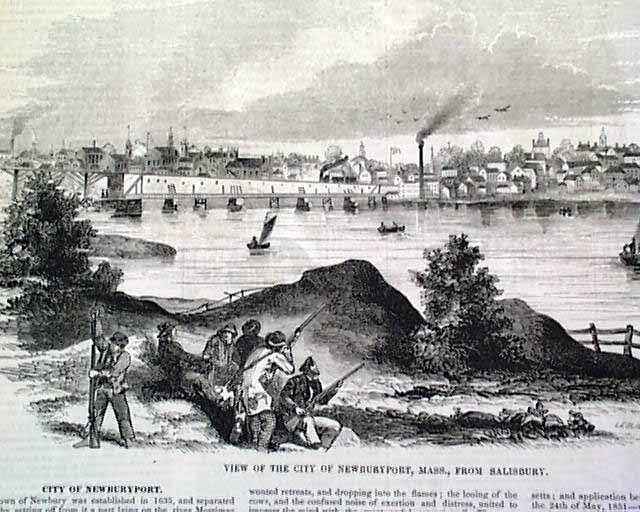 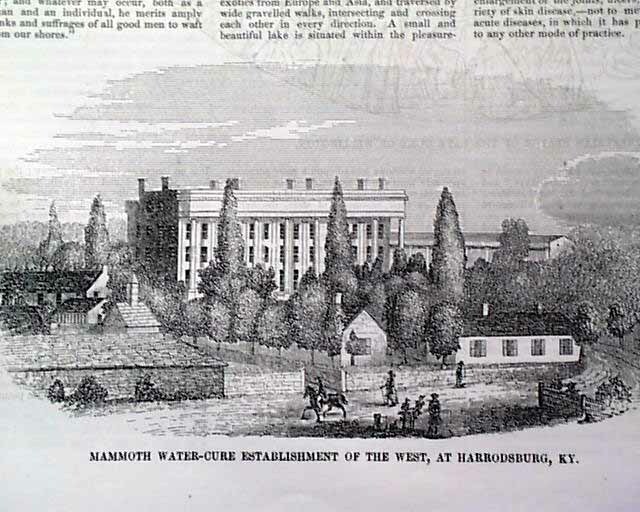 Abbott Lawrence" "Mammoth Water-Cure Establishment of the West, at Harrodsburg, Ky." "View of the City of Newburyport, Mass., From Salisbury" "Essex Merrimac Suspension Bridge, Newburyport" "Oak Hill Cemetery, Newburyport" "View of the City Hall, Newburyport" "View of the Residence of the Late Hon. 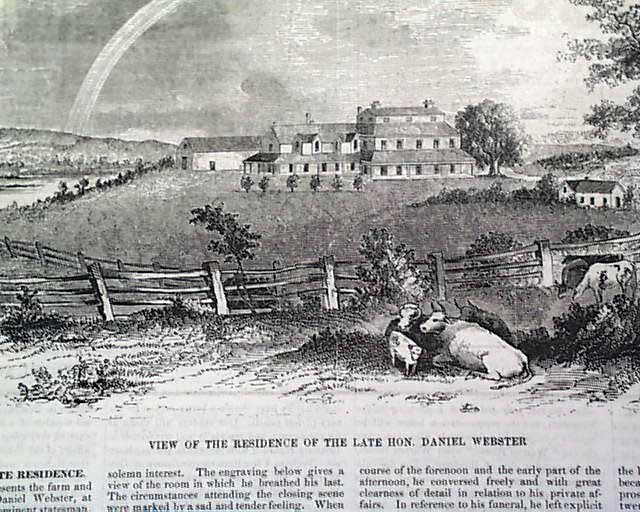 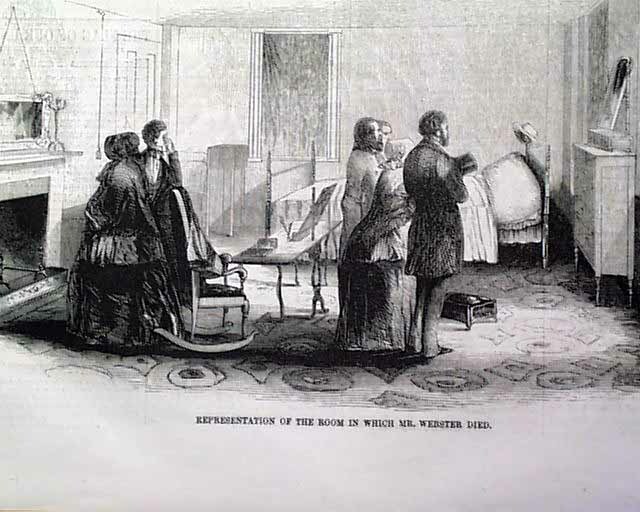 Daniel Webster" and "Representation of the Room in Which Mr. Webster Died."